In two years, Air Canada will cut ties with Aeroplan, leaving its parent company, Aimia, scrambling. Can the loyalty program stay aloft without its premier partner? Last May, his master plan began to unravel. That’s when Brooks’s brother, a financial adviser, broke the news that shares of Aimia Inc., Aeroplan’s parent company, had nosedived. Aeroplan’s long-standing contract with Air Canada—which spun off the points program in 2005—was up for renewal in 2020, and the airline had decided not to renew the deal. Instead, it would launch its own in-house rewards program. Brooks was already frustrated with Aeroplan—he could never seem to find seats, and now he feared the program’s five million members would flee too, forcing the company to devalue the points in order to survive. So Brooks rushed for the exit. He was in such a scramble that he cashed in his points for gift cards, mainly from Costco and the Keg, raking in roughly $6,500 worth. “There’s no hope for Aeroplan, at least in my opinion,” Brooks says. The pain radiated to some of Canada’s largest financial institutions. TD Bank had become Aeroplan’s lead credit card partner in 2014, signing a 10-year contract with what was then considered the mother of all loyalty plans. Now TD was stuck with a points program that could soon be a shell of its former self. As a secondary card partner, CIBC was in a similar, albeit less severe, situation. As for Aimia, it’s staring down a nightmare scenario. If members rush to cash in all their miles, the company might not be able to make them whole. Loyalty programs are a lot like insurers, which earn premiums up front and then pay out policies years later. But instead of holding its cash conservatively, Aimia paid a good chunk of it to shareholders in the form of fat dividends—an average of $137 million a year between 2014 and 2016. It also bought some businesses abroad. The result is that Aimia has just over $300 million reserved for the $2 billion in rewards for which it was liable as of April 30. Aimia’s saving grace, so far, is that few Aeroplan members seem to have noticed the upcoming split with Air Canada. If—when—they do, they’ll realize Canada’s second-favourite currency will likely be worth much less come 2020. What sets Aeroplan apart from other loyalty programs, such as RBC Avion and CIBC Aventura, is the low price at which it can buy seats from Air Canada. Aimia’s lenders are worried enough that, early this year, they slashed the size of the company’s credit facility by 30% and demanded quarterly debt reductions. Many feel a full recovery is highly unlikely. “Let’s be clear—there’s no replacing Air Canada,” wrote Adam Shine, a National Bank Financial equity analyst, in a note to clients last year. More ominously, Aimia’s CEO, David Johnston—who’d been in the job for just a year—resigned suddenly on April 26, the night before the company’s annual general meeting in Montreal. He will be succeeded by Jeremy Rabe, who previously ran Club Premier, a Mexican frequent-flier program, and joined Aimia’s board this spring. Aimia’s executives aren’t talking, despite multiple interview requests. Air Canada isn’t saying much, either. But just about everyone on Bay Street has a theory about what brought Aimia down. Some say management was too cocky; others blame the airline, which hived off the beloved points program 13 years ago, only to abandon it and launch a new, rival program on its own. Aimia’s looming crash landing is the ultimate whodunit. For all the speculation, there’s one thing that’s almost universally agreed upon: It never should have come to this. Looking back now, Aimia hit turbulence well before the Air Canada announcement in May 2017. A few months earlier, Rupert Duchesne, the company’s CEO, all but disappeared. Duchesne had run Aimia (formerly known as Groupe Aeroplan) for 17 years. But in January 2017, Aeroplan’s board abruptly announced he was taking a four-month medical leave of absence. They provided almost no detail about his condition, but the news caused barely a blip in Aimia’s share price. Come May, things started to look different. On the same day Aimia reported its quarterly earnings, the company revealed Duchesne would be retiring immediately. He was said to have chronic mercury poisoning, a rare condition that can be linked to eating contaminated fish (and can, according to the World Health Organization, affect the nervous system). This was earth-shattering news. The Aeroplan loyalty program had been created inside Air Canada in 1984, and the brand is so closely associated with the airline that many customers would no doubt be surprised to learn it’s owned by a separate public company. As Air Canada emerged from the ashes of bankruptcy protection in 2004 (it had been driven there in part due to Sept. 11, 2001, and the SARS crisis), it hoped to spin out peripheral businesses with solid cash flows. Since Aeroplan had few capital investments—its business model was mostly just moving around cash—it was an ideal option. At its core, Aeroplan is a pretty simple operation. Members mostly accumulate miles by using branded credit cards, shopping at specific retailers and, of course, flying Air Canada. They can then cash in those miles, often to book flights on the airline—which they do on average every two and a half years. Aeroplan earns the spread between the cost of those flights and the cash its credit card and other partners pay to buy the miles. What made investors salivate over Aeroplan’s initial public offering was that Air Canada had agreed to a partnership that let the loyalty program buy seats at cut-rate prices, thereby guaranteeing fat margins, at least until 2020. To this day, Aeroplan’s average cost per mile is estimated to be 1.04 cents, 20% to 30% below market prices. The airline also pledged to set aside 8% of seats on every Air Canada route each month. Aeroplan was perfectly suited to the income trust era, since trusts were designed to distribute cash to their investors, and its IPO was a huge success. The income fund started trading in 2005 at a $2-billion valuation. Meanwhile, the airline was just starting to make money again. Aeroplan’s early days as a stand-alone company were highly fruitful for everyone involved. Air Canada got a steady stream of fliers and some cash; Aeroplan got an exclusive partnership with the airline that mattered most to Canadians, helping the points company’s stock price double in two years (it hit a peak of $24); and CIBC, its longtime exclusive financial partner, was still raking in money from Aerogold credit cards. By 2012, the Aeroplan-branded cards were generating 11% of the bank’s total profit. So the news that Air Canada would not renew its Aeroplan contract was like hitting an air pocket at 30,000 feet. (The airline confirmed its intentions the morning after Aimia’s disclosure.) Duchesne looked particularly bad. The Brit had long been the principal contact with Air Canada, having started the Canadian leg of his career there in 1996 as vice-president of marketing and overseeing its integration with Canadian Airlines. He’d run Aeroplan since 2000—and was paid handsomely for it. The cash components of his pay over the past decade, coupled with stock he’s sold, total $26 million. When he retired, he got an additional $3.5 million in cash. Air Canada’s decision to end its relationship with Aeroplan seemingly set off an ugly chain reaction. Within a month, Aimia’s chief financial officer, Tor Lønnum, announced his departure; the company suspended its dividends; and three directors, including Beth Horowitz (the former head of Amex Bank of Canada) and Alan Rossy of Dollarama fame, resigned from its board. They all sat on Aimia’s audit committee—that is, the one that oversees its financials. Early on, Air Canada uttered barely a peep about its decision; it simply revealed it would build a new loyalty program in-house and implied it would search for a financial institution with which to partner. The airline claimed the new program would deliver benefits to the tune of $2 billion over 15 years, though it provided none of the math to back that up. To prevent consumers from cashing in their points en masse, the airline promised Aeroplan customers could still redeem their miles after the contract ended, with a big “but”—they’d be doing it at “pricing competitive with other third-party rewards programs.” In other words, Aeroplan members would no longer get sweet deals on Air Canada flights. Analysts have since speculated that having control of its loyalty program would allow Air Canada to encourage reward holders to cash in during periods with lower demand. And, of course, the airline could also slash the discount at which Aeroplan currently buys seats (which is likely where much of Air Canada’s projected $2-billion benefit comes from). At an investor day in September, Air Canada’s longtime chief financial officer, Michael Rousseau, explained that moving to an in-house loyalty program could help the airline close a crucial gap between it and its U.S. rivals, whose EBITDAR margins—that is, their earnings before interest, taxes, depreciation, amortization, impairment and aircraft rent as a percentage of operating revenues—are three full percentage points higher. “We believe the gap between us and U.S. airlines…is primarily due to the absence of a loyalty program here at Air Canada,” Rousseau said. These plans are so profitable that private equity firms tend to value them at 15 times EBITDA as stand-alone companies. 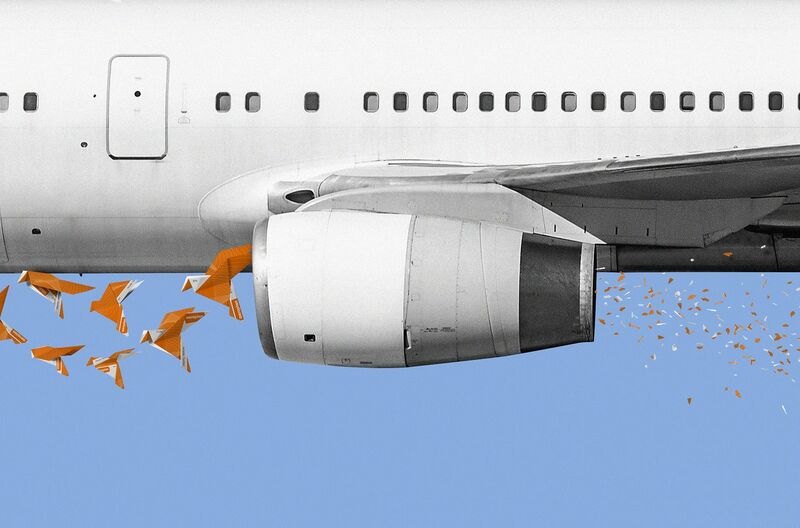 Airline stocks, meanwhile, often fetch only five times. What went unsaid was that Aeroplan had been facing severe headwinds for some time. Over the years, it had added scores of retail partners, which made it easier for members to earn miles. And it had signed up millions more members, while its percentage of seats on Air Canada flights hadn’t changed—more demand, same supply. Aeroplan had also tweaked its redemption grid, adjusting the number of points needed for flights, and introduced some cash costs when redeeming, such as paying airline taxes and other fees. Many members were fed up. In one particularly egregious situation, a consulting manager from Peterborough, Ontario, decided to cash in the Aeroplan points he’d been stashing away for 14 years, booking business-class tickets for himself and his son on a return flight to Glasgow. He had more than enough points—almost 380,000—yet Aeroplan wanted him to cough up an additional $2,200 in fees and taxes. The member backlash led to a major dust-up on Bay Street. CIBC’s contract with Aeroplan was up for renewal in 2014, and a few months before, the bank publicly floated the idea that it might not sign back on. This was not something to take lightly, considering how much profit the program generated. But CIBC had had enough. Customers were venting their frustrations on the bank, yet all it could do was pass the vitriol on to Aeroplan’s leadership team. With CIBC stalling, TD swooped in. Canada’s second-largest bank had historically lagged in the credit card space, so it was desperate to make a splash. Stealing Aeroplan would do just that. The two banks agreed to split the portfolio roughly in half: CIBC would keep all the cards whose owners had a second relationship with the bank, like a chequing account or mortgage, while TD would take the rest—about half a million accounts. To sweeten the deal, TD agreed to pay CIBC a guaranteed $275 million over three years and paid Aimia $100 million up front. To outsiders, the TD deal might have seemed like a victory for both sides. Aeroplan now had a power player on board, with a commitment to heavily market the new card. For its part, Aeroplan promised to fix some of the problems that enraged members most, such as miles expiring. When Bonansinga inherited the fund, CI held more than one million Aimia shares, which were trading around nine bucks. He didn’t see much more room for it to run. If the Air Canada contract were renewed, there was no way the terms would be nearly as favourable as the current deal. The data these loyalty programs collect was also becoming more valuable. “Time was against Aimia,” he says. By the second quarter of 2016, he’d sold the fund’s entire position. It was a prescient move—the shares are down close to 80% since then. Other fund managers weren’t so lucky, including Fidelity Investments and Burgundy Asset Management, Aimia’s top two shareholders at the time of Air Canada’s announcement. As of March 31, 2017, they owned 22 million and 15 million Aimia shares, respectively, then worth a combined $330 million. By the end of the following quarter—during which Air Canada and Aimia revealed their split—Fidelity had slashed its stake by 75%. But Burgundy held on at least through September; it hasn’t updated its ownership since then and did not return a request for comment. Some funds and analysts will argue there was no way to tell Air Canada was thinking of giving up on Aeroplan. Yet, in 2013, the airline unveiled its Altitude program, which offered frequent fliers five tiers, such as Elite and Super Elite. Something about this set-up was odd: Despite the historical relationship, Air Canada seemed to be branching away from Aeroplan. Rovinescu was clearly up to something. On some level, Air Canada’s decision to part ways shouldn’t matter all that much. Aimia had a 15-year runway to build a business beyond this central relationship, and it had ample cash flow to invest abroad. To their credit, Duchesne and his team did try to diversify. In 2007, Aimia paid $755 million for the Nectar rewards business in the United Kingdom. One of its major retail partners was the Sainsbury’s grocery chain, and it also had a deal with British Gas to earn points at the pumps. Other investments included a 49% position in the company that controls Club Premier and a minor stake in Cardlytics, a U.S. company that monetizes data from electronic banking transactions. In 2011, Groupe Aeroplan rebranded as Aimia to signify its broader scope. But this past February, Aimia sold Nectar to Sainsbury’s for a net price of $34 million—95% less than it paid for it. Nectar’s Italian arm had shut down in 2015, it had lost the British Gas deal, and it was struggling to sign on major new partners. Aimia’s other programs are worth just a fraction of Aeroplan’s value, and analysts are struggling to calculate how much the company should even be worth. Its market value now hovers around $300 million. 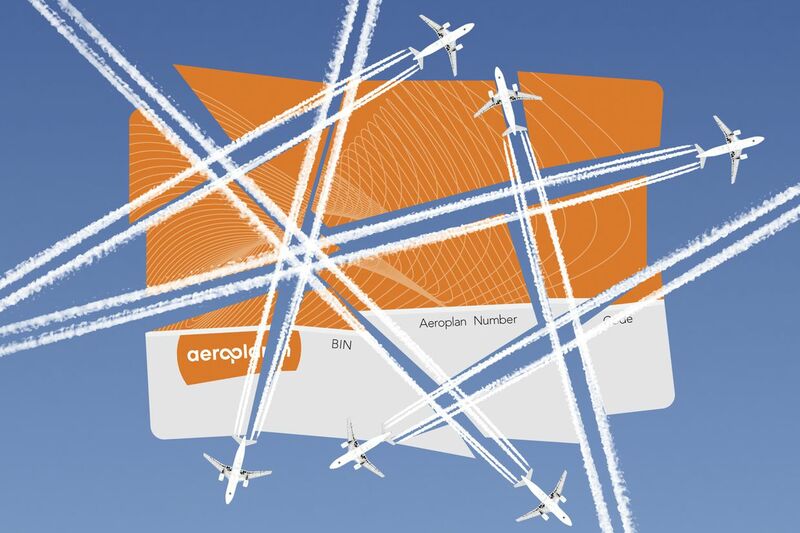 If there’s any hope of recovery, it likely lies in revamping Aeroplan. At its AGM in April, Aimia started to reveal what the program could look like in two years. As expected, it will continue to target mass affluent fliers—that is, upper-middle-class and wealthy Canadians—and will allow members to book seats on more airlines, much like rival programs Avion and Aventura, owned and run by Royal Bank of Canada and CIBC, respectively. But that flexibility will come at a higher cost. Aimia still has a shot at profitability. As analysts at CIBC World Markets noted back in 2017, at the same time they predicted that Air Canada and Aeroplan would part ways: “Many loyalty programs that purchase rewards at market rates do exist with margins in the 20% range.” Plus, Aeroplan still has a contract with TD, which is highly motivated to put its marketing might behind a revamped program. Aeroplan will also have to sell its new offering in a world awash in loyalty programs, most of them operated in-house. On average, Canadians belong to more than 12 different rewards plans, according to Bond Brand Loyalty’s latest annual report. Canadian Tire is expanding its Triangle Rewards program; London Drugs launched a plan in 2016; and Loblaw’s and Shoppers Drug Mart’s combined PC Optimum card gives their once independent offerings more heft. Aeroplan has a strong brand name, but it’s getting harder for any one program to shine. “The market is way too saturated,” says Patrick Sojka, who runs the industry-tracking website Rewards Canada. What members want in a program is also evolving. People don’t just want free stuff; they want to feel special—which is why Air Canada offers certain Elite customers free seat upgrades through its Altitude program and why American Express has set up a fast-track security line at some airports. Although Aimia now has a plan, the internal upheaval just won’t let up, as evidenced by CEO David Johnston’s recent departure. “As Aimia’s business and geographic footprint shrinks, it was logical timing for me,” he said on a conference call. “You’re starting to see some new news on Aeroplan, and you’ll be seeing more, and now is the right time for new leadership to step in.” Investors will be the judge of that. As for the company’s finances, they can be difficult to track. Historically, Aimia was known for adjusting its adjusted earnings from quarter to quarter. The financials are inherently volatile because members could redeem their points whenever they wanted, and the company would periodically change things like its breakage rate assumptions—the number of points it assumed would never get used. Predicting cash flows was never easy, and it’s only gotten harder, especially with the risk of more members cashing in miles. “If consumers redeem miles at an increased rate to take advantage of Air Canada’s reward availability, it would have a significant effect on Aimia’s cash flow and liquidity,” wrote rating agency DBRS Ltd. recently. Aimia’s debt now has a junk rating, and $250 million in secured notes mature in May 2019. Will long-term investors stick it out? It’s hard to say. At the AGM, Aimia chair Robert Brown—a former CEO at both Bombardier and CAE Inc., and a former chair of Air Canada—hinted a rebound will likely take years. “Is it going to happen over the next two or three months? I don’t think so,” he told the small group of mostly suits at a Montreal conference centre. “I think people have to be patient.” In the end, 43% of Aimia’s shareholders withheld their support for Brown—the Canadian way of voting against a nominee. Distressed-asset investors are also kicking around, including New York–based Mittleman, which invests in “severely undervalued securities.” It has become Aimia’s largest shareholder, with a 17.6% stake, and managed to get two directors appointed to the board in late April, including Rabe, the new CEO. Some analysts say hedge funds are circling and have floated the idea of selling Aimia back to Air Canada just to reap the takeover premium. Until recently, Rupert Duchesne, Aimia’s original CEO, had been keeping a low profile. But after taking a year to focus on his health, he has re-emerged. “As of April 2018, I am fully recovered and have resumed all my corporate and not-for-profit board responsibilities, as well as a number of advisory roles,” he wrote on his LinkedIn profile. He’s a director of several companies and arts organizations, including Mattamy Homes, Dorel Industries and the Art Gallery of Ontario. Reached by email, he deflected questions about business decisions back to Aimia, almost as if he’d had no part in them. When asked specifically about his departure, he wrote: “My leave and retirement were, as you know, for personal medical reasons. They were not ‘timed’ and had nothing to do with Aimia’s relationship with Air Canada.” (In an email, Aimia’s board concurred.) Duchesne would not disclose any details about his health. Air Canada, of course, doesn’t worry about hurt feelings. It never really has. And now its CEO has some swagger: A strong economy, coupled with some long-term agreements with unions and partners like Jazz, has investors giddy. The share price is up around $24, after crashing to 78 cents during the financial crisis, and this past August, Rovinescu cashed in $35 million in stock. He never got around to commenting for this story, but as a mastermind of the saga, he must be having a good laugh.